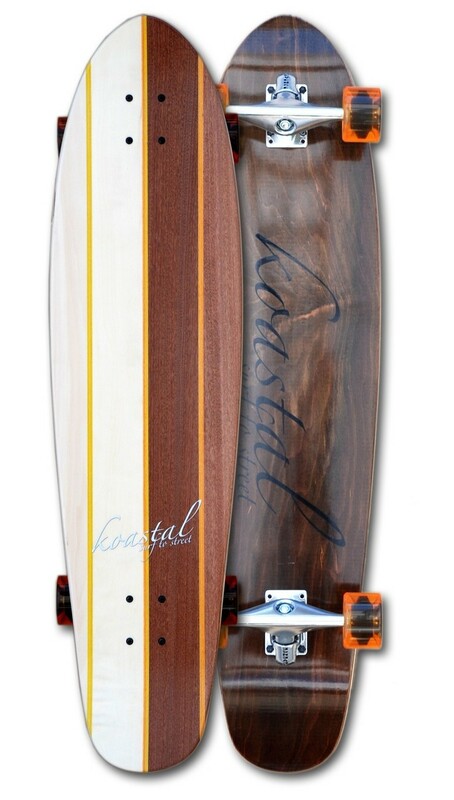 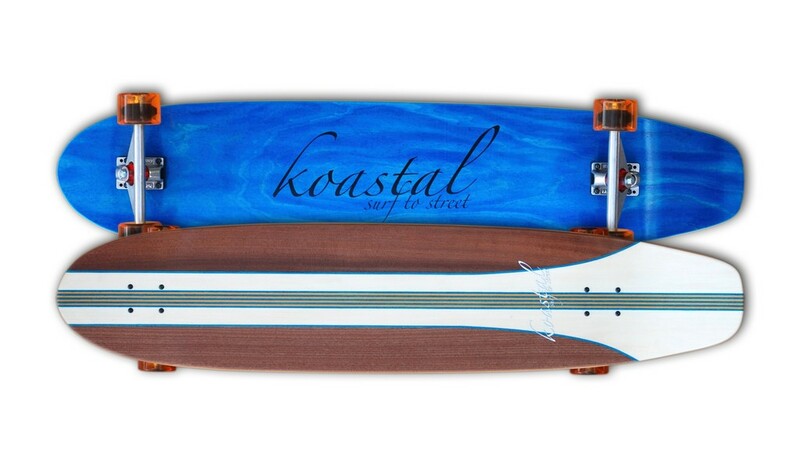 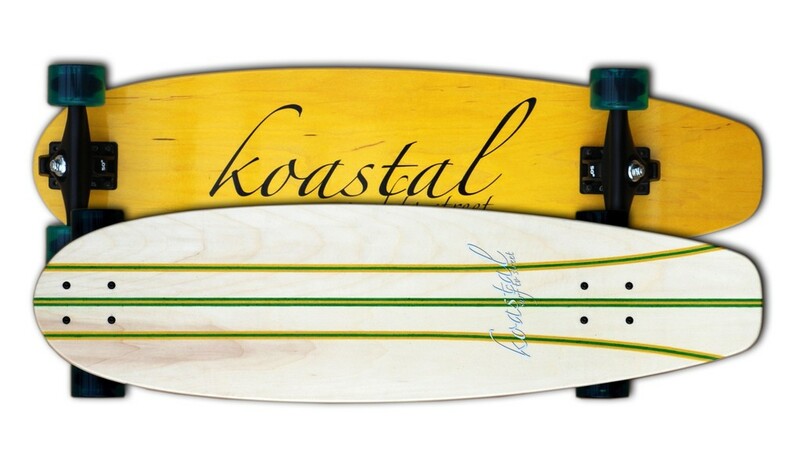 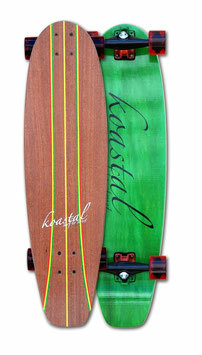 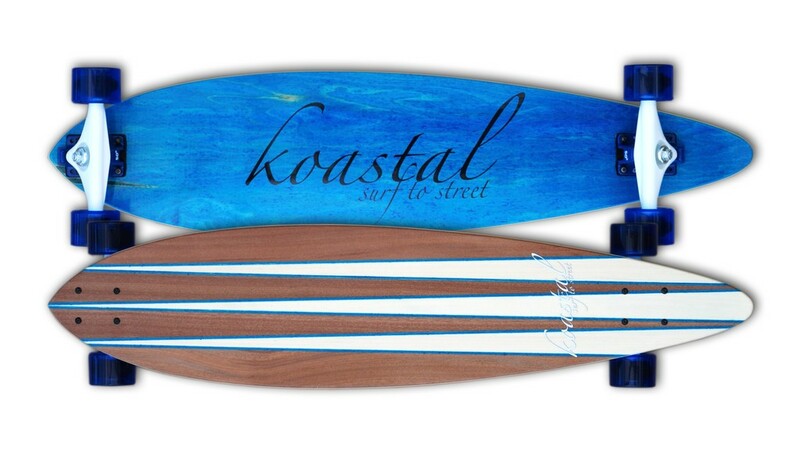 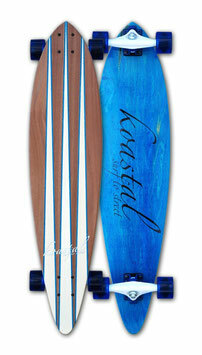 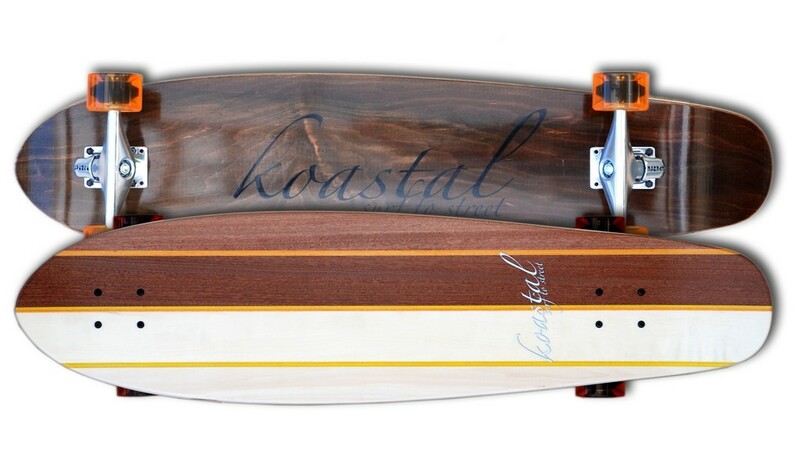 Koastal - Progressive Series ALLE BOARDS sind BALD wieder da! 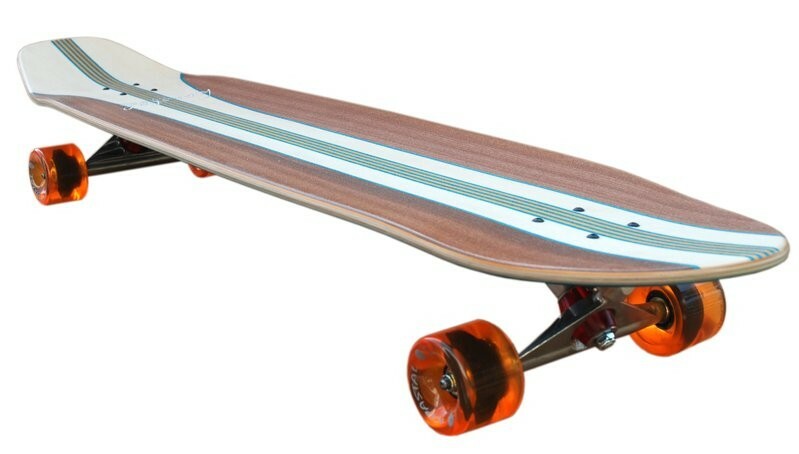 Manchmal ist ein wenig schneller - ein wenig schöner. 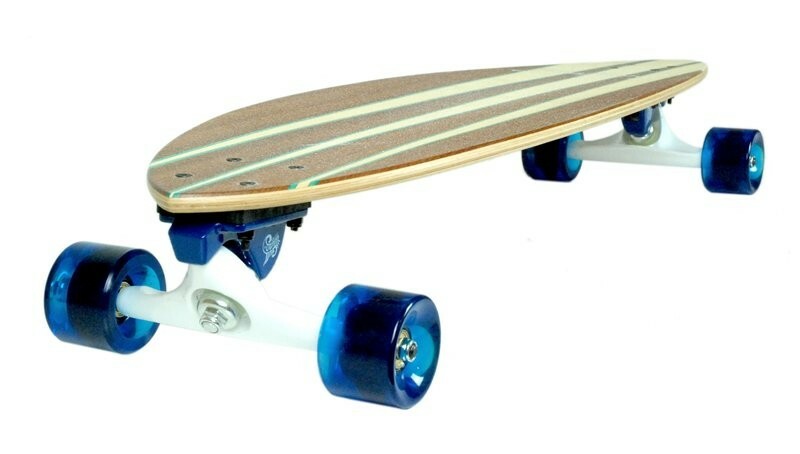 Aber nur mit Style - und dem Gefühl ein Board unter sich zu haben, das funktioniert. 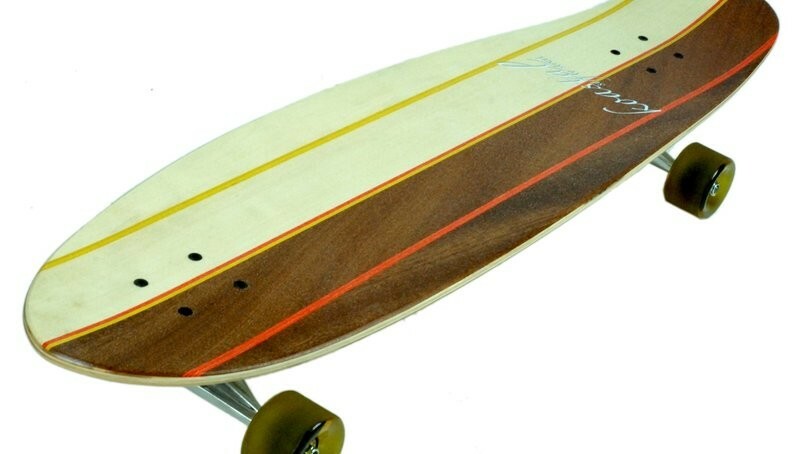 In der Perfomance Serie findest Du alles was Du brauchst. 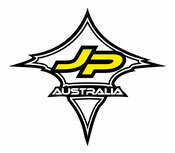 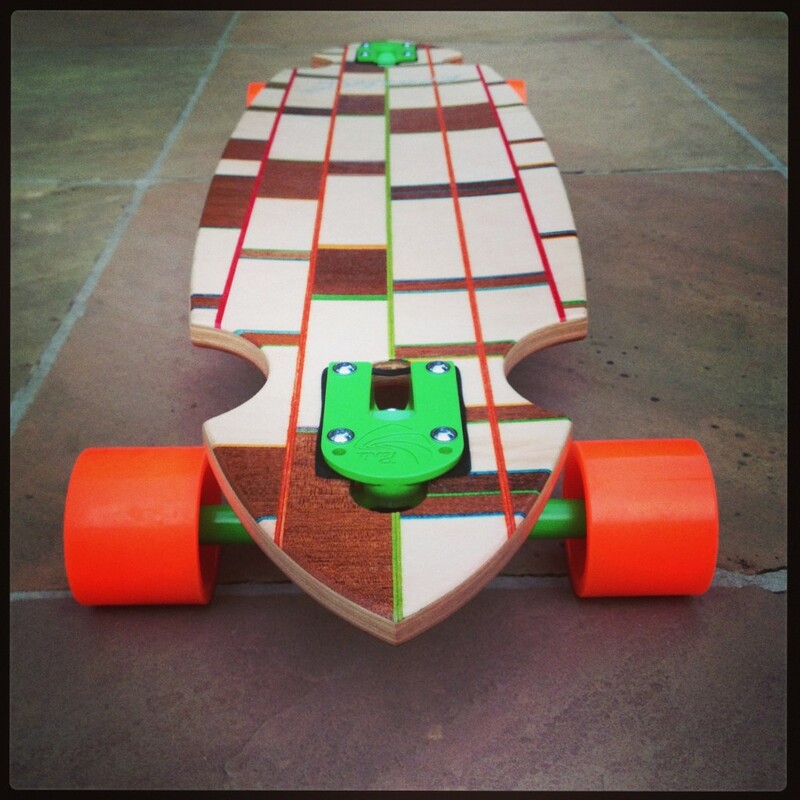 Ob Manuals, Freeride oder Downhill. 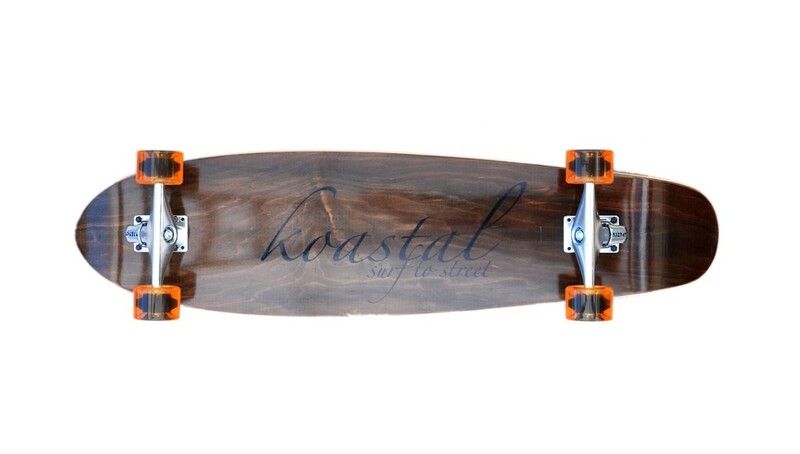 Welcome to Koastal! 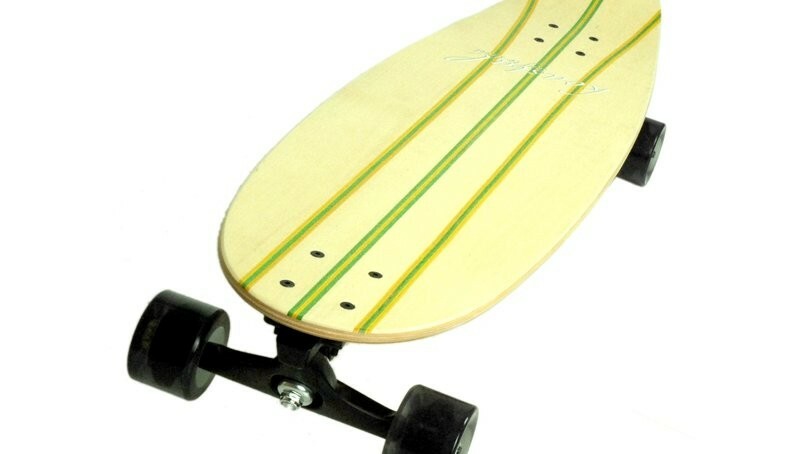 Mit ihnen könnt Ihr Pumpen, Carven, Cruisen aber auch einen agressiven Style fahren. 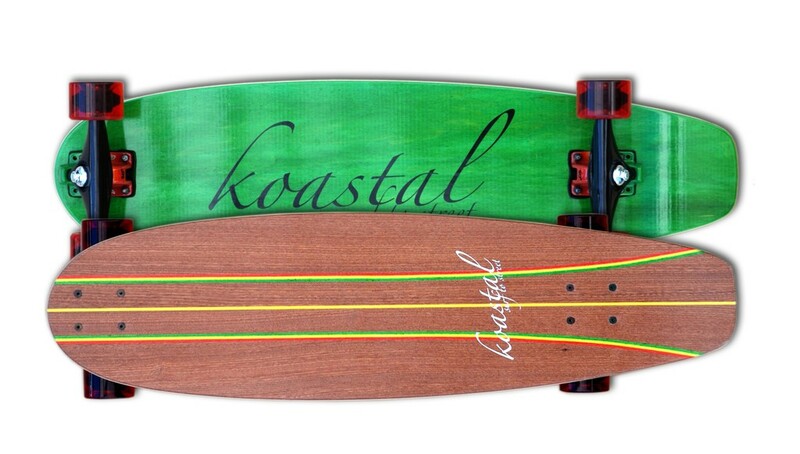 Original Koastal SetUp = Revenge trucks & Koastal wheels! 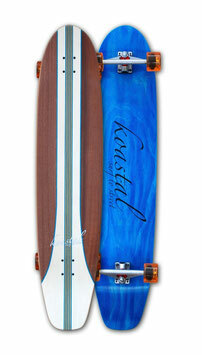 Dimensions: L – 37.75” * W – 8.75” wheel base: 27.5"
Wood: Aspen, Mahogany, and Blue died maple veneers. 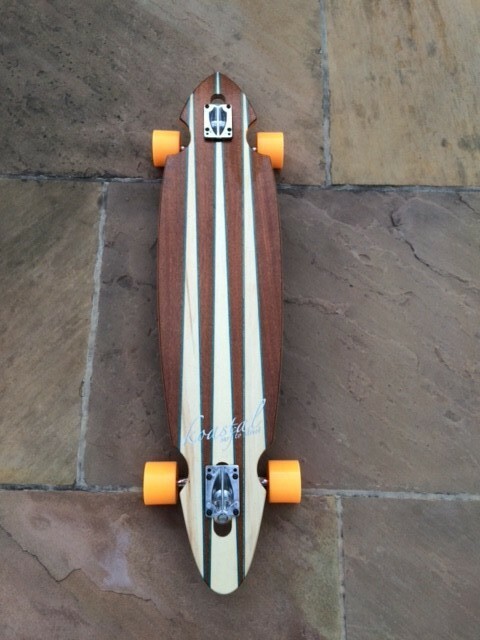 The core of this board is 6 ply maple. 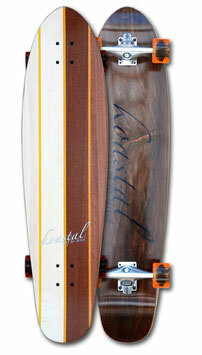 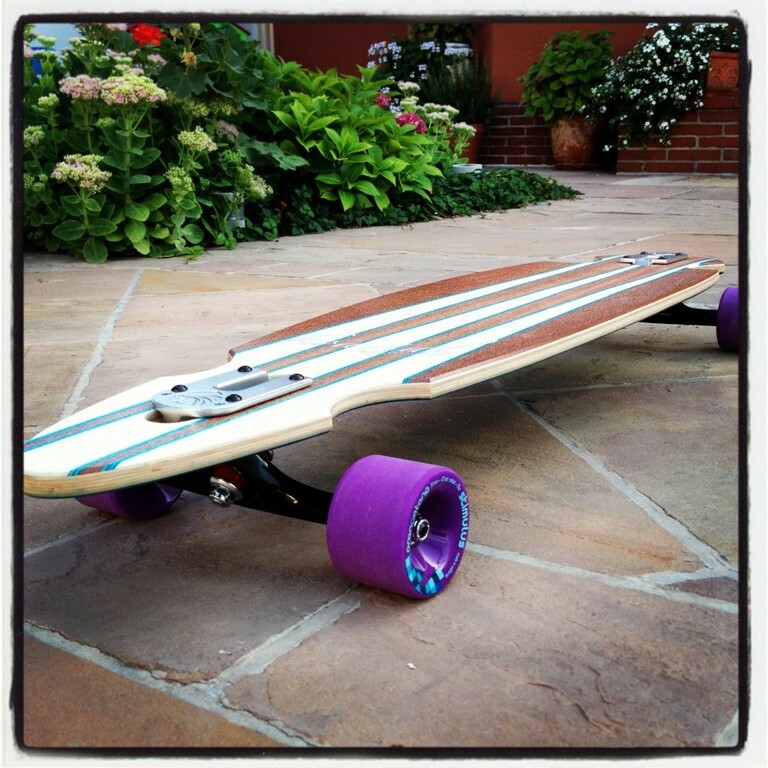 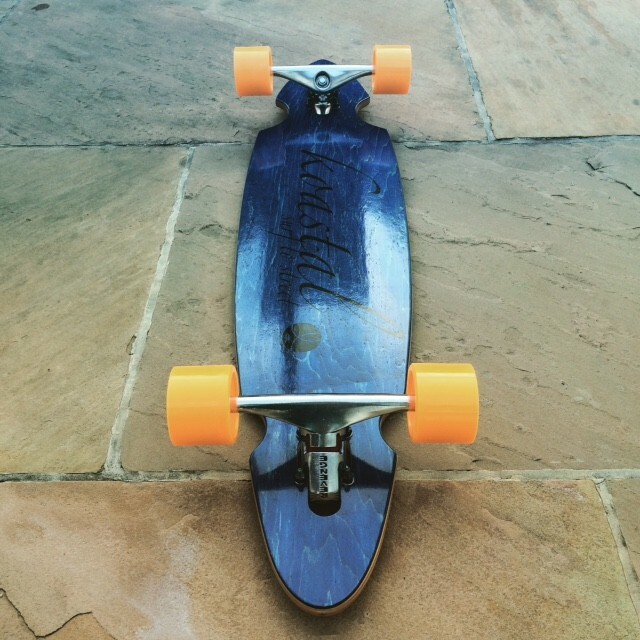 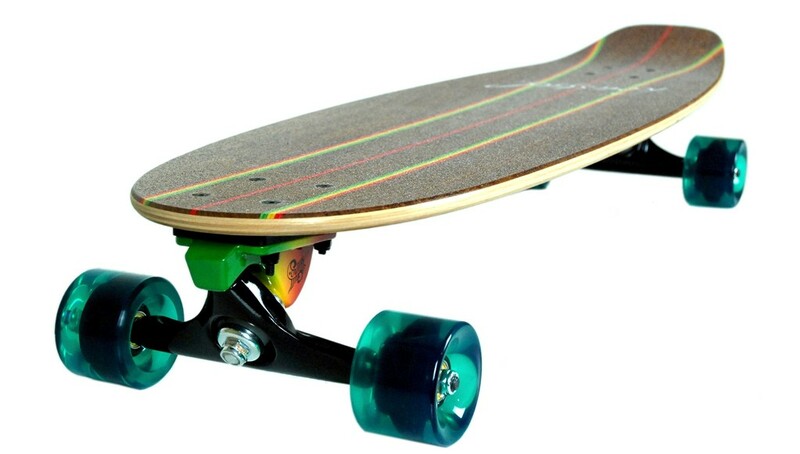 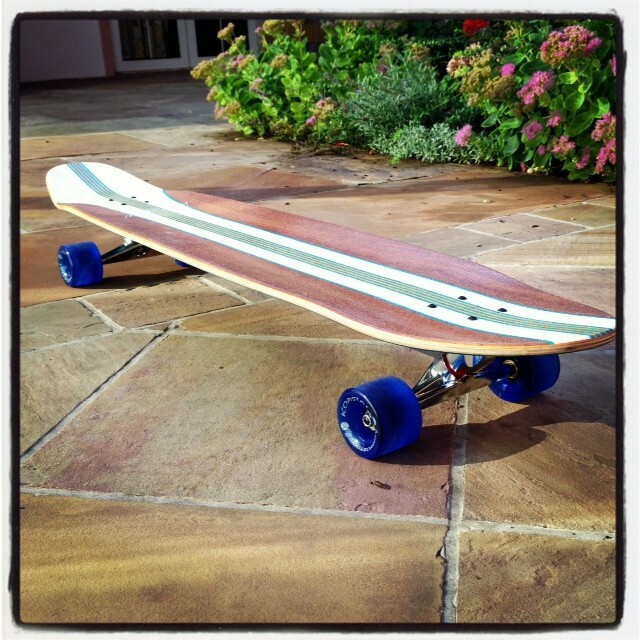 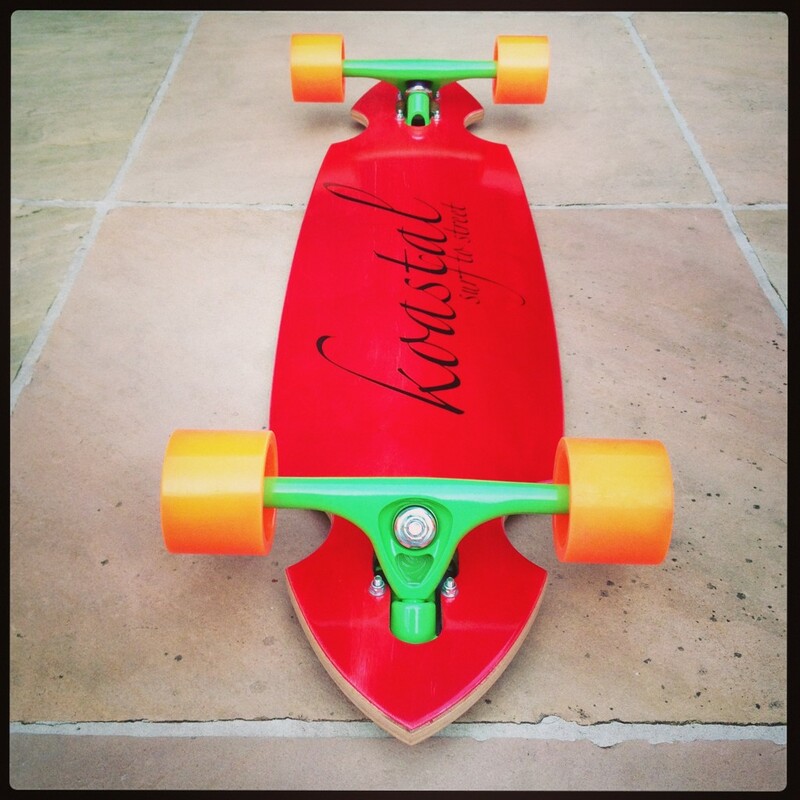 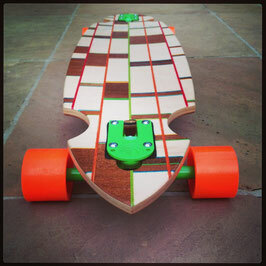 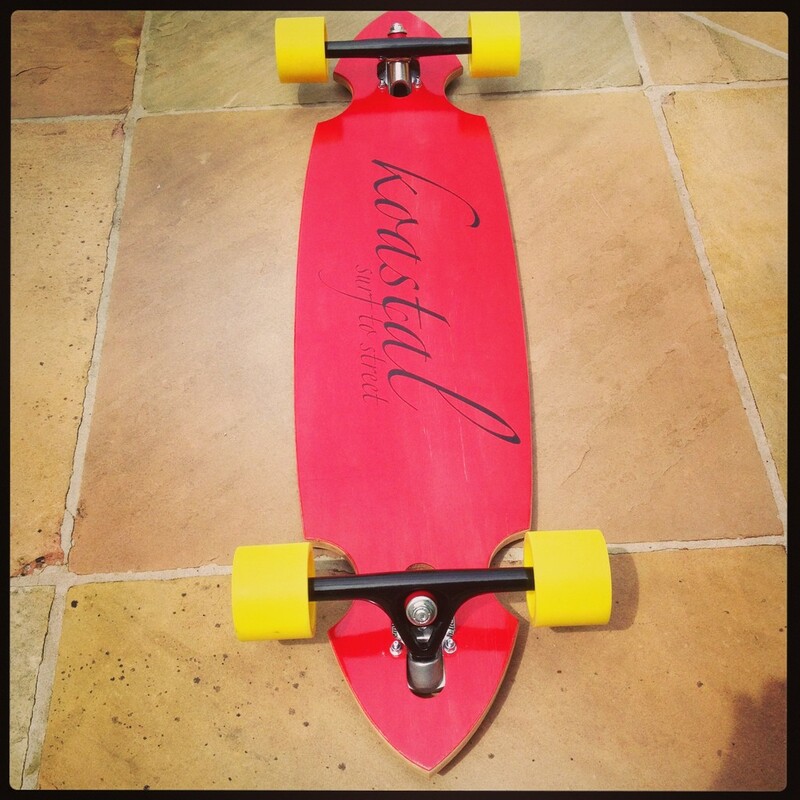 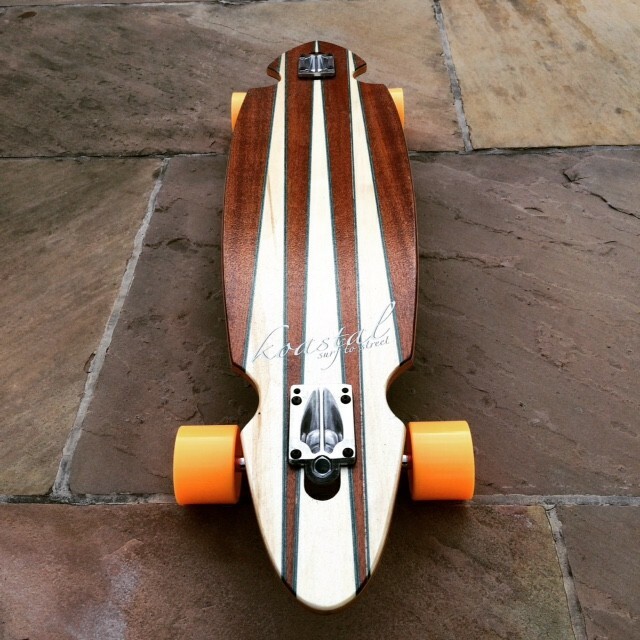 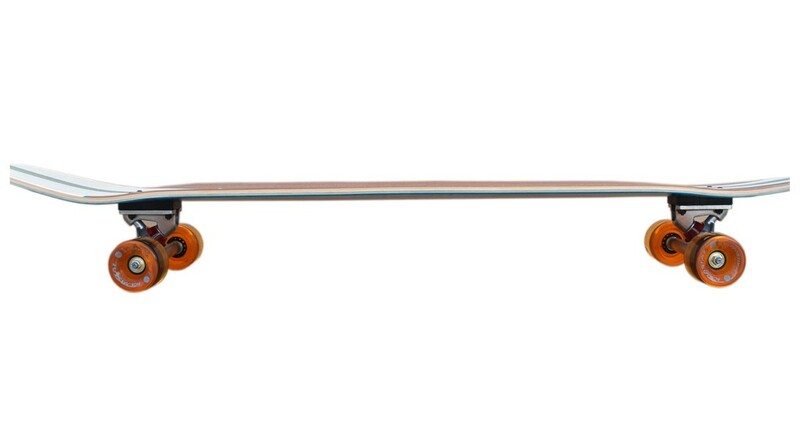 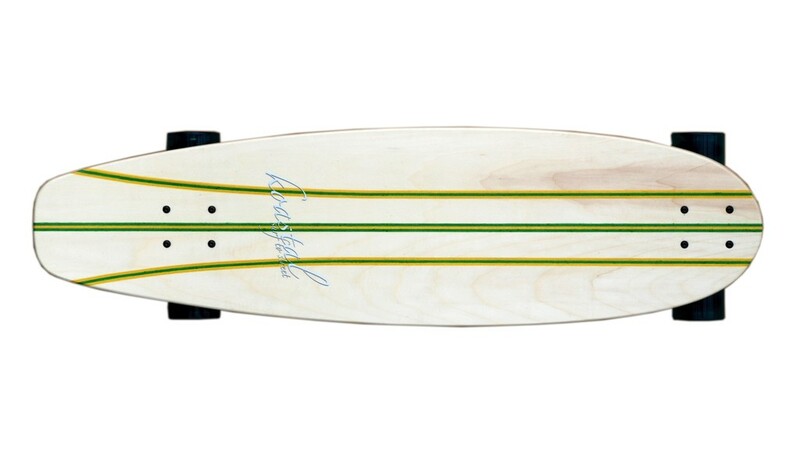 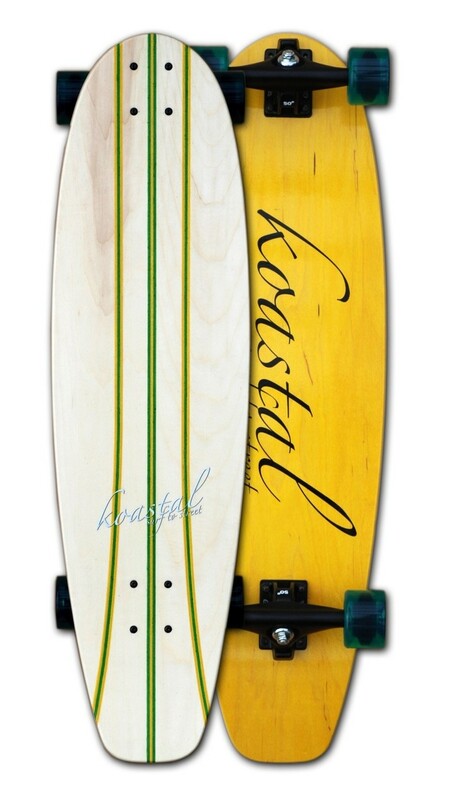 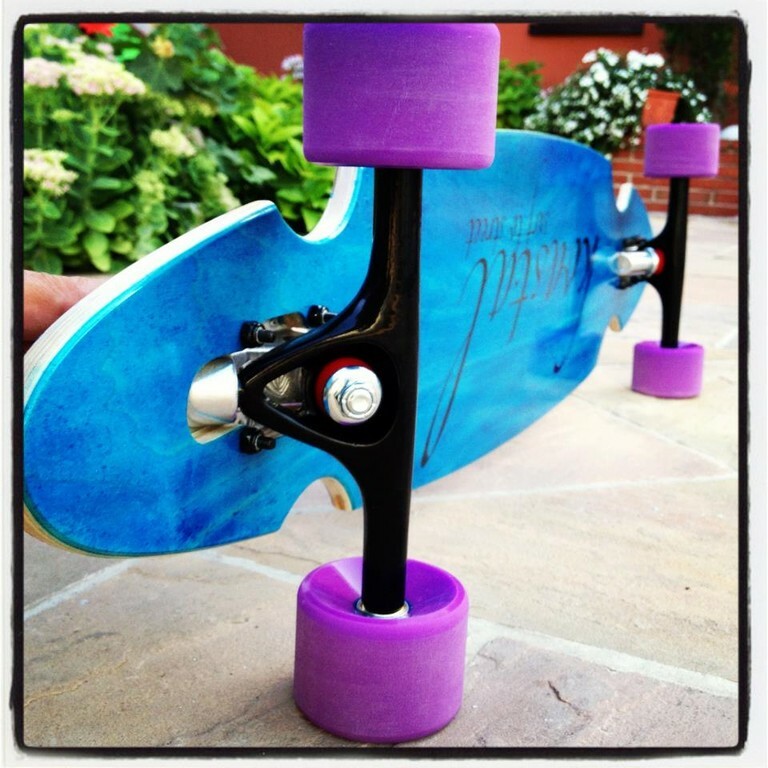 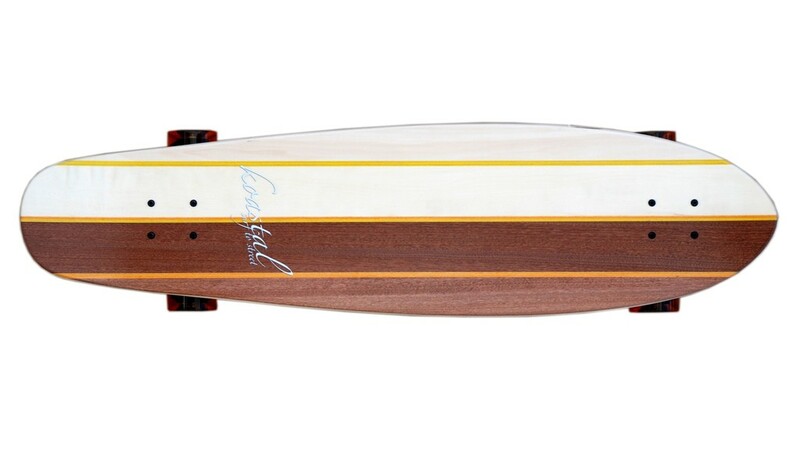 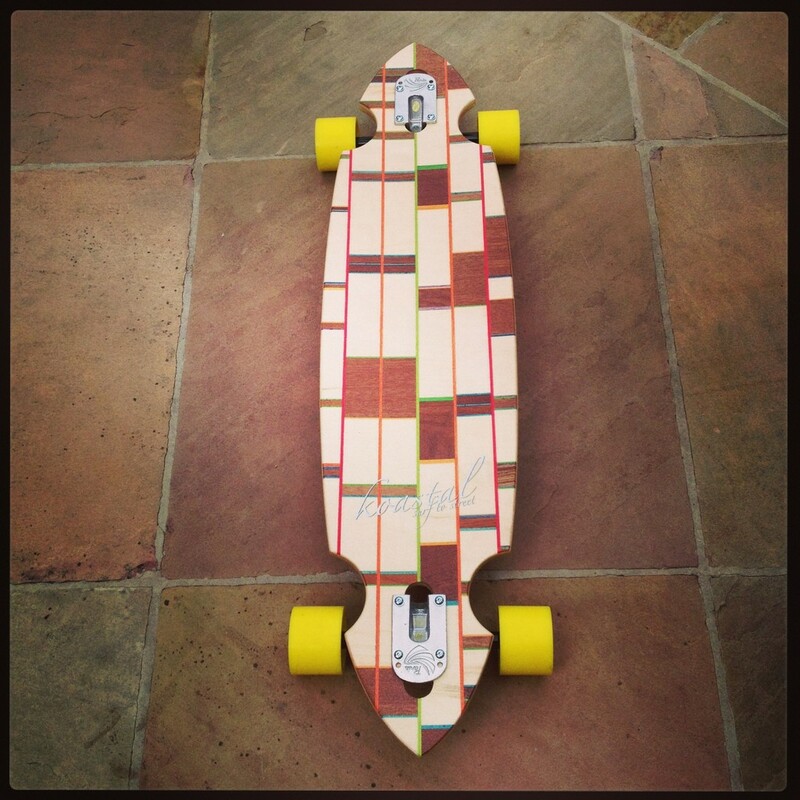 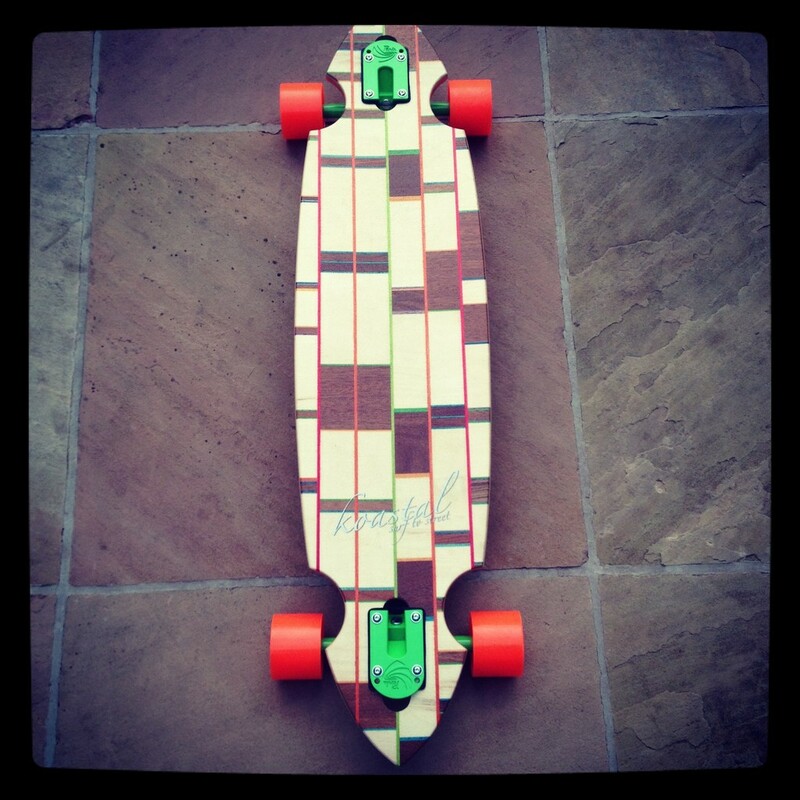 The Pintail.... a board that looks great, and rides even better. 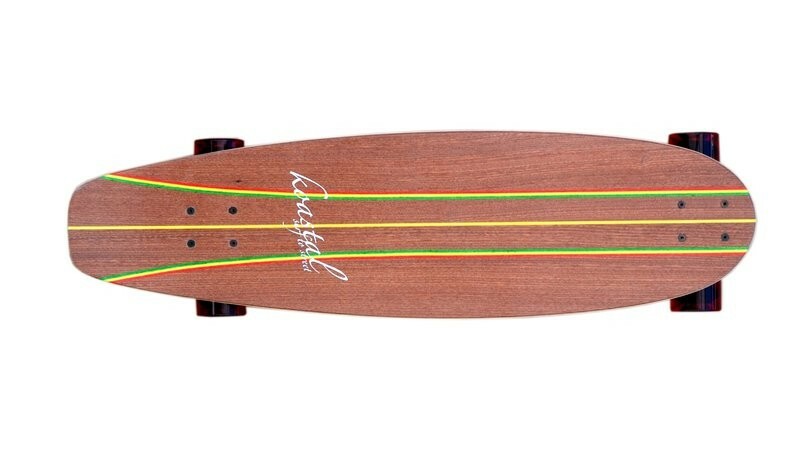 The visually stunning Pintail features a sunburst of wedged stringers, designed as a progressive carver with the ability to take a serious hill bomb when the time calls. Wood:Aspen, Mahogany, and Blue died maple veneers. 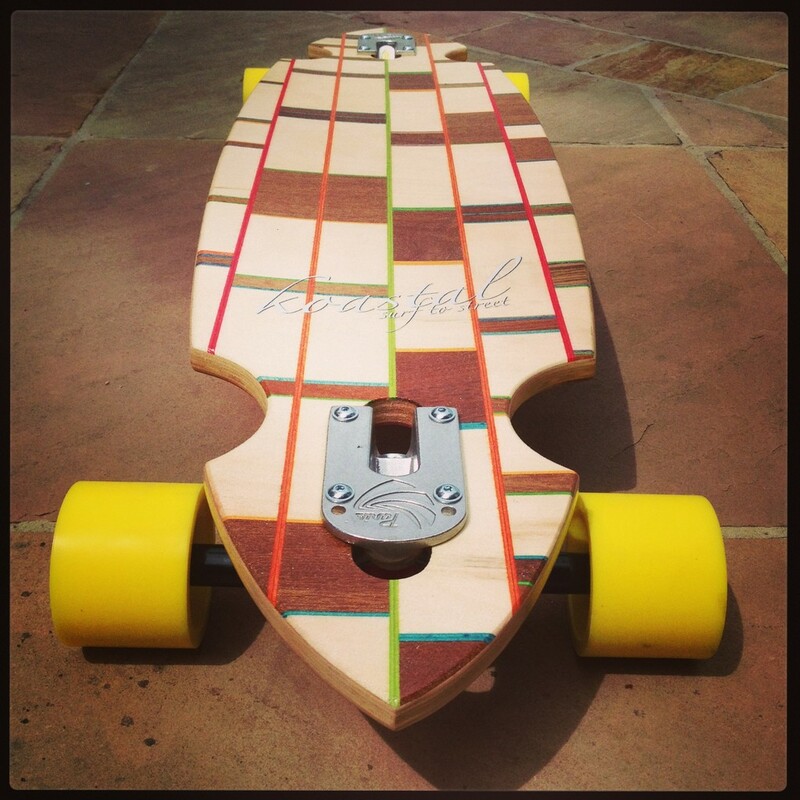 The core of this board is 6 ply maple. 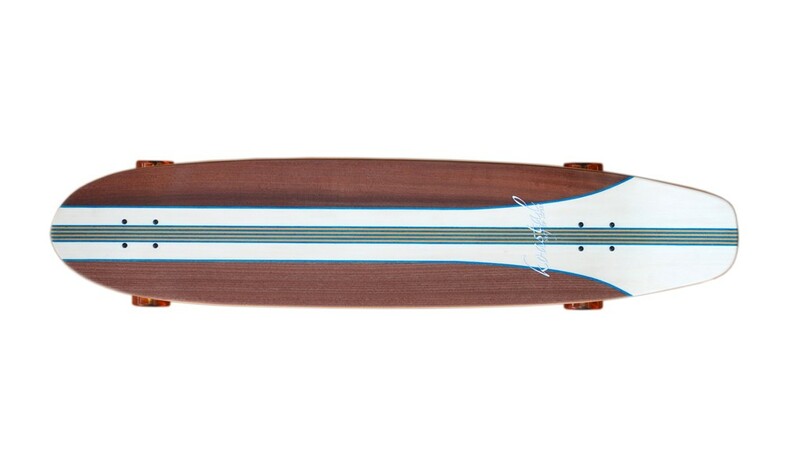 The “Meat Loaf” series. 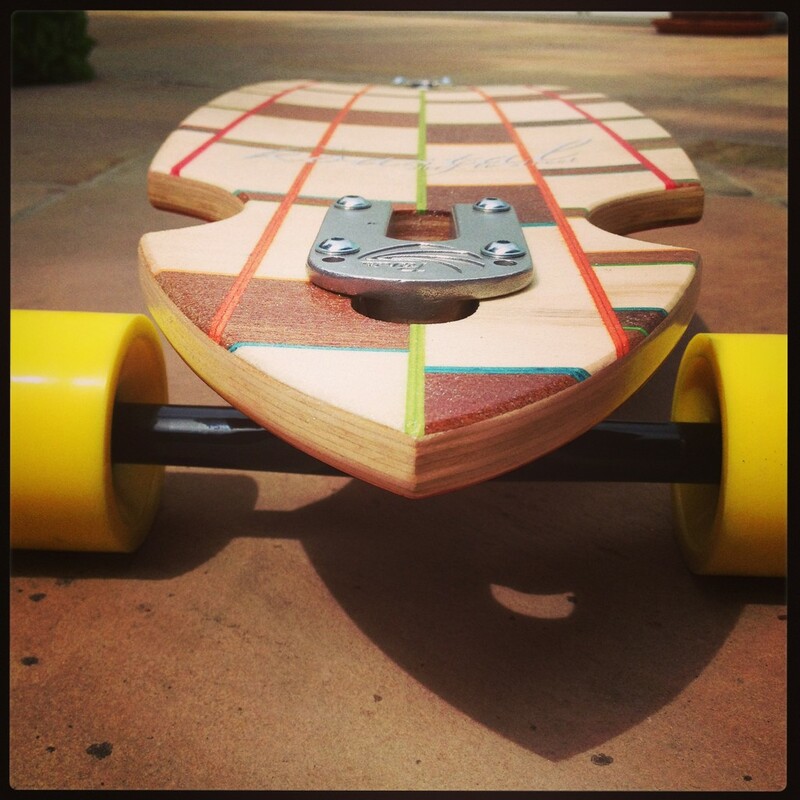 Just like mom used to make except we take the best of what’s leftover in the wood shop to produce this tasty little morsel. 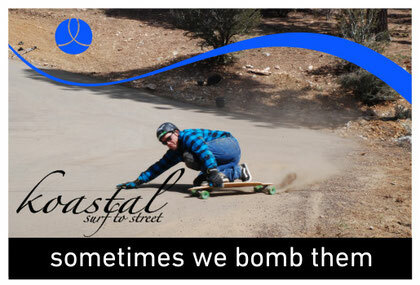 Its our little contribution to minimizing waste because every little bit helps. 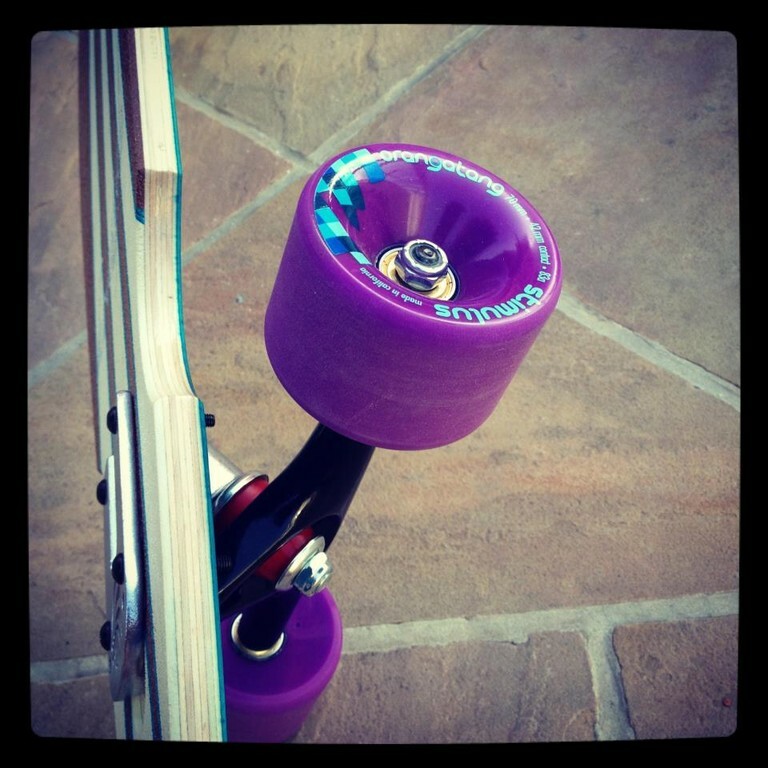 Select any Orangatang Wheel and Bearing at no extra cost. 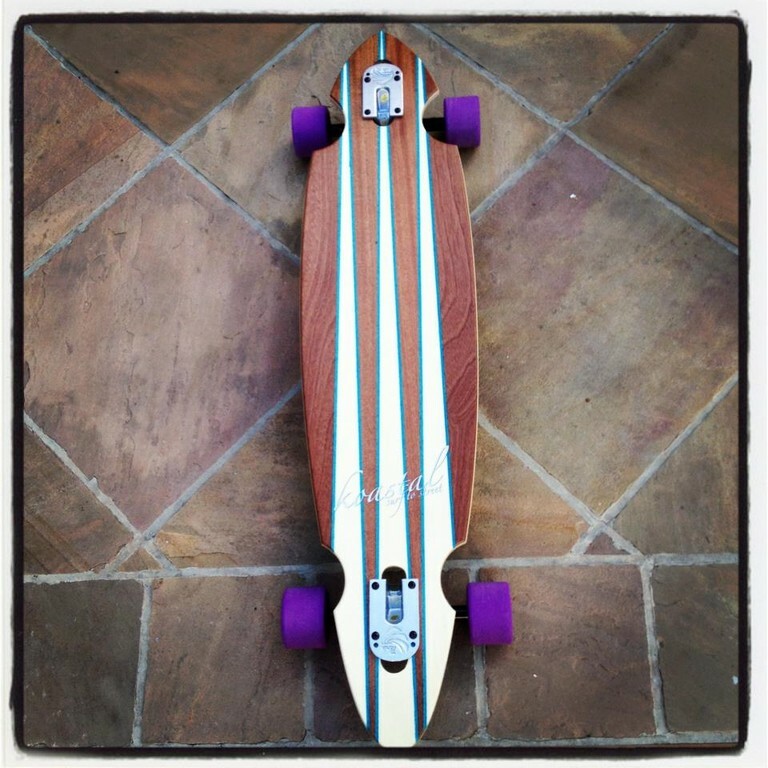 Dimensions: L – 37” 94cm * W – 9” wheel base: 28"
Wood: Aspen, Mahogany, and a mix of died maple veneers. 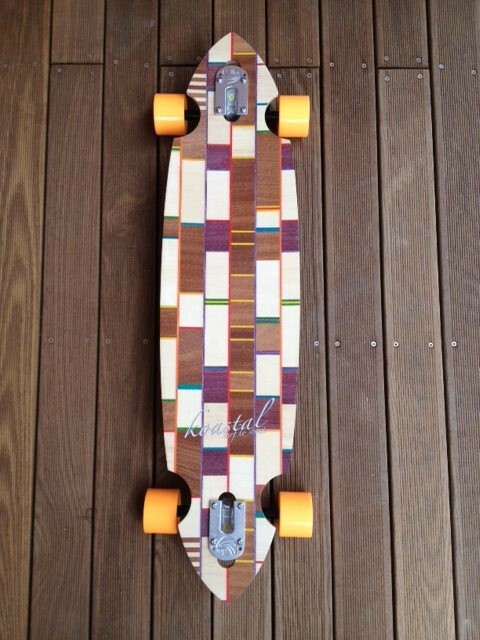 The core of this board is 6 ply maple.